An old picturesque cottage situated next to the Grand Union Canal near Marsworth. 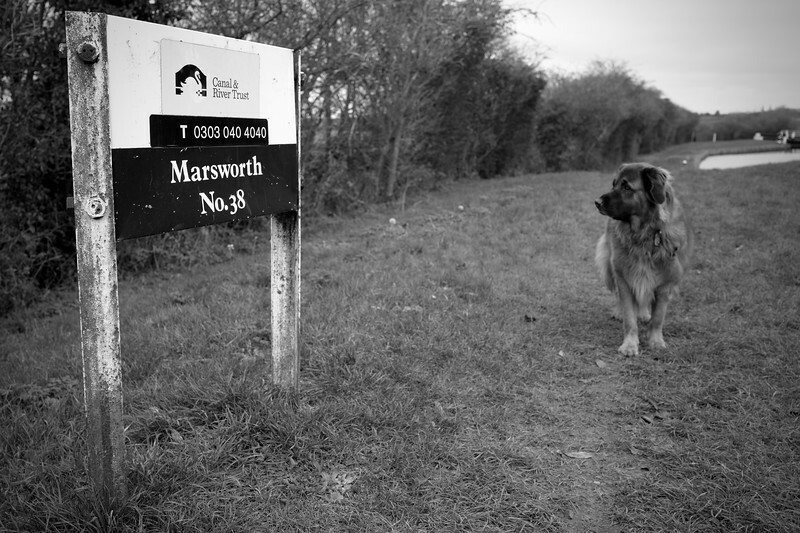 An Estrela Mountain Dog taking an interest in a sign next to Marsworth Lock. 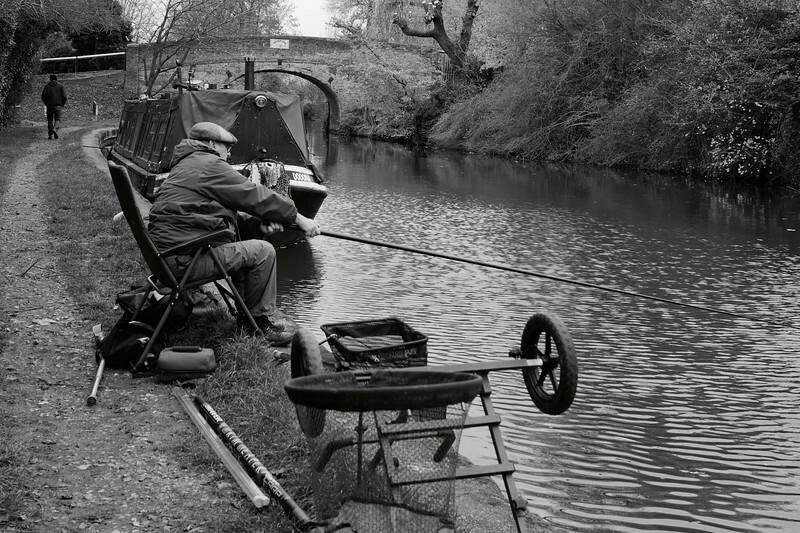 A man spending the afternoon fishing on a quite stretch of the Grand Union canal. 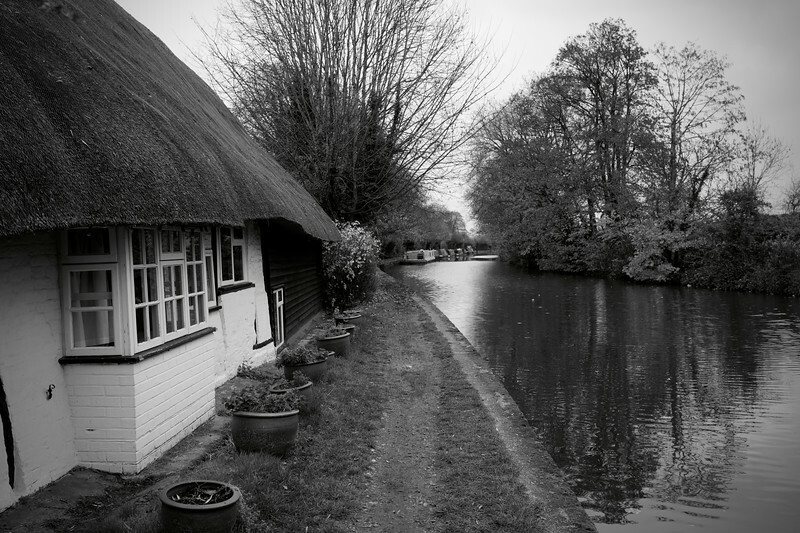 Between Bulbourne and Marsworth on the Grand Union Canal at the junction with the Wendover Arm lies this small boat workshop. 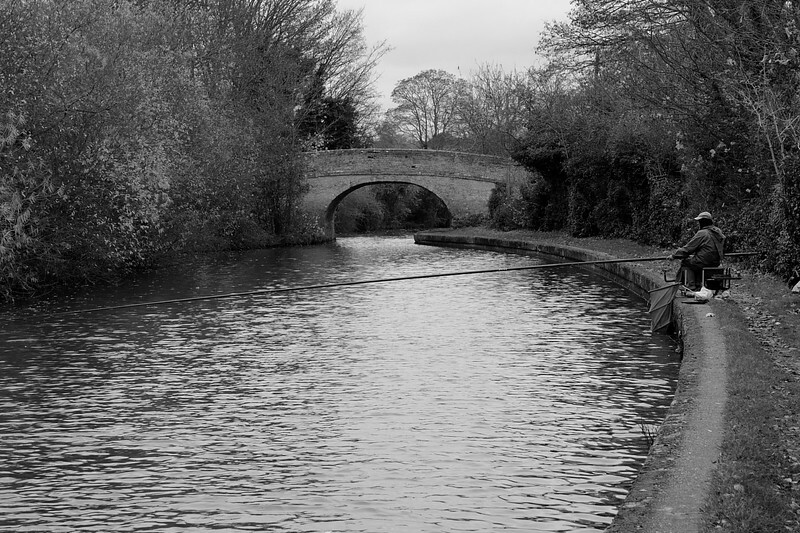 A couple negotiating their way through a lock near Marsworth on the Grand Union Canal. 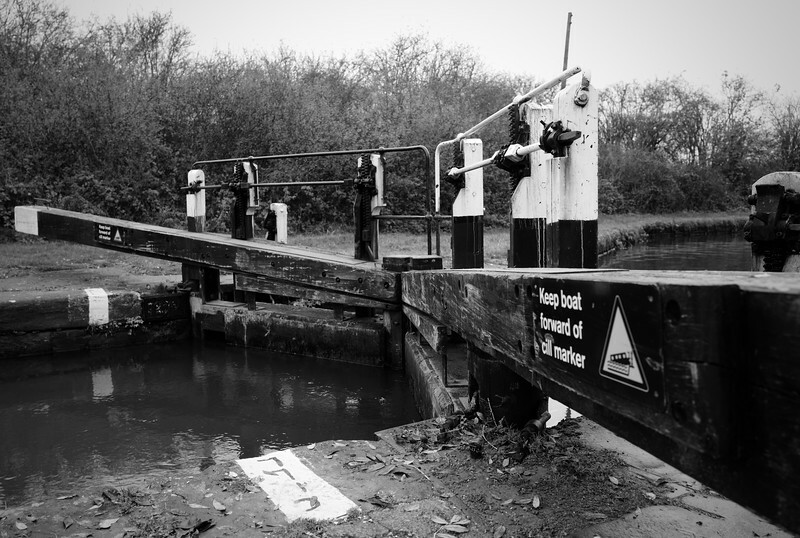 A pair of lock gates on the Grand Union Canal. A simple but ingenious design that has facilitated transport via the modern canal network since the 18th Century. 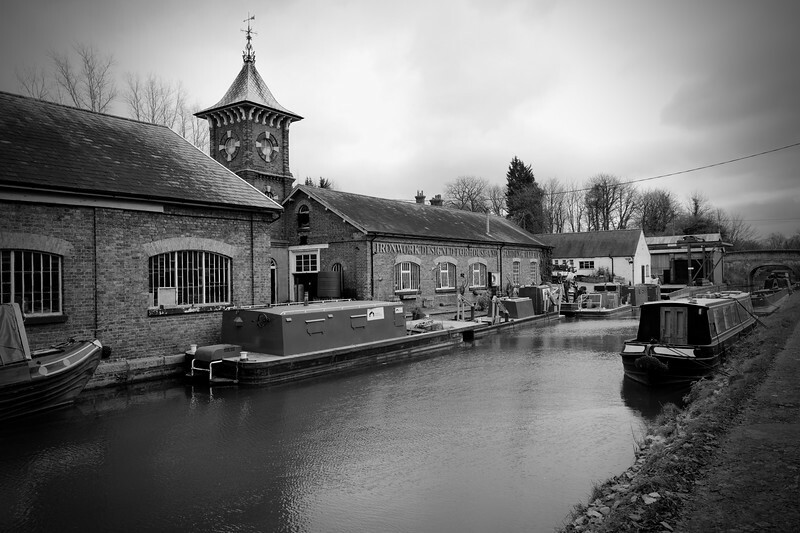 The Canal and River Trust maintain the canal work which requires constant repairs and upgrades to keep the system open and running smoothly for everyone to enjoy. A boat moored up next to the towpath on the Grand Union canal near Bulbourne with a dog walking passed. Located at Bulbourne near Tring on the Grand Union Canal is this very respected and skilled iron work blacksmith and artist who produces some amazing work. Photographed here with a number of Canal and River Trust working boats moored outside, Hammer and Tongs is the ideal place to get bespoke metal work for your home or garden. This well equipped boat is made for the modern life on the canal. From the outside it can be seen this is a boat intended for off grid living with ample solar power, a wind generator and satellite television making it ideal for long term cruising or live aboard. 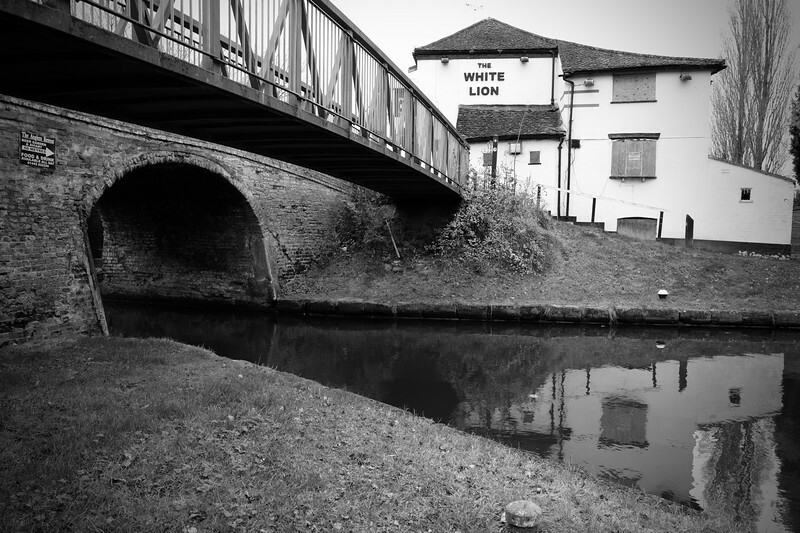 The White Lion Pub has fell into disrepair after many years of lying empty and neglected. The pub is located in Marsworth next to the Grand Union canal but has never really been successful due to the more popular Anglers Retreat located about 50 yards away which does great food at reasonable prices. 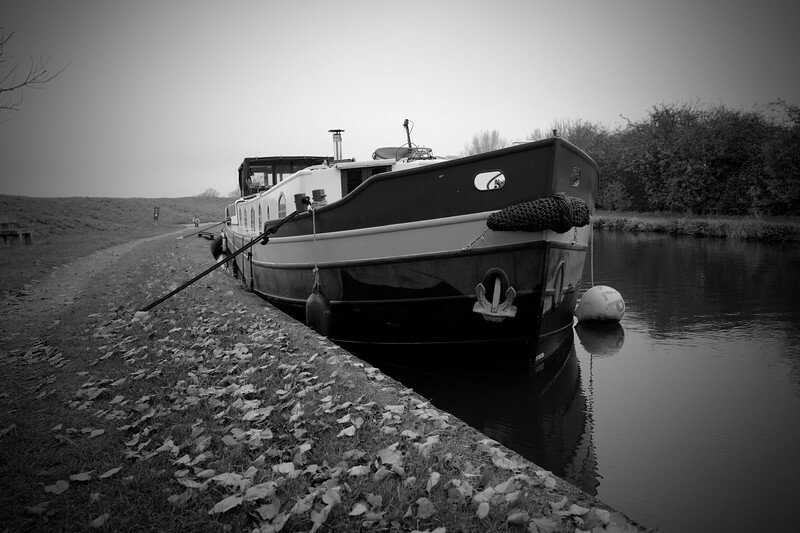 Walking along the canals, you come across a variety of boats in varying conditions. From brand new to very old and dilapidated boats as well as historic restored boats and DIY projects some of which amaze me that they are still floating. 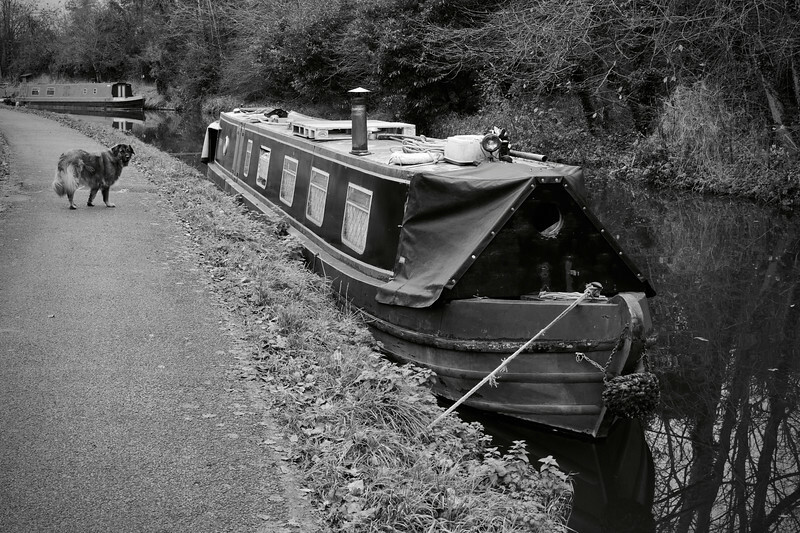 This particular boat which obviously provides someone with a home is showing signs of years of neglect with rust and poor paintwork but still manages to serve it's purpose of carrying a person around the canal network. whilst keeping its owner dry and safe from the elements. Whilst still providing someone with a means of transport and accommodation around the canal network, this boat has seen better days but may one day be restored to its former glory by a dedicated owner. Frequently cruising the canals are fuel supply boats providing mobile diesel, coal, wood and calor gas supplies to boaters on the network. A typical canal bridge scattered throughout the entire network. These beautifully built brick bridges require a significant amount of maintenance as they are frequently damaged by boaters colliding with the ornate arches. As time moves on new bridges are being erected using modern techniques and materials and lack the character and ornate nature of their predecessors. A sturdy looking well maintained wide beam dutch barge style of boat situated on the Grand Union canal near Marsworth. Taking a moment to watch some ducks on the opposite side of the canal next to this old brick bridge over the Grand Union. With the autumn leaves scattered along the towpath, a number of canal boats are moored along this stretch popular with walkers and boaters. An autumn walk along the canal with a scattering of fallen autumn leaves and a row of moored boats at this popular location for walkers and boaters alike. This mechanism is used by boaters with a windlass to raise and lower lock paddles to control water flow into and out of the locks enabling boats to climb or lower themselves to the the necessary level to continue on with their journey. 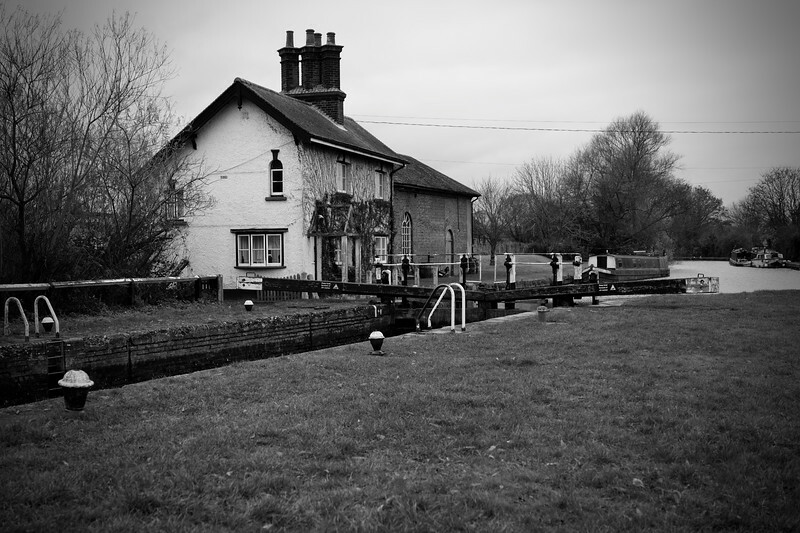 An old lock keepers cottage on the Grand Union canal. These properties are mostly now privately owned and no longer serve as dedicated lock keepers properties who would have once operated and maintained the locks for passing boaters. A recently renovated part of the Grand Union canal at the junction with the Aylesbury Arm. There are a number of modern newly built properties at this location as well as it being a popular mooring location for boats close to the Marsworth reservoirs, pubs and cafe which is an ideal location for people interested in birdwatching and wild life. A number of boats moored at this popular location next to the Grand Junction pub in Bulbourne with the highly regarded blacksmith and iron works just opposite. An old lock keepers cottage with a frontage covered in foliage making it very picturesque in the summer months when the leaves are full of life.